The 2016 farm cash receipts for the district totalled $30.9 million, with $15 million in dairy production and $6.2 in floriculture. Based on the 2016 Census, the district had 202 farms, with a large number raising livestock. The district is very diverse in agricultural sectors and has seen an increase in value added activities in the region, including stone milled flour and pressed canola and dairy processing. 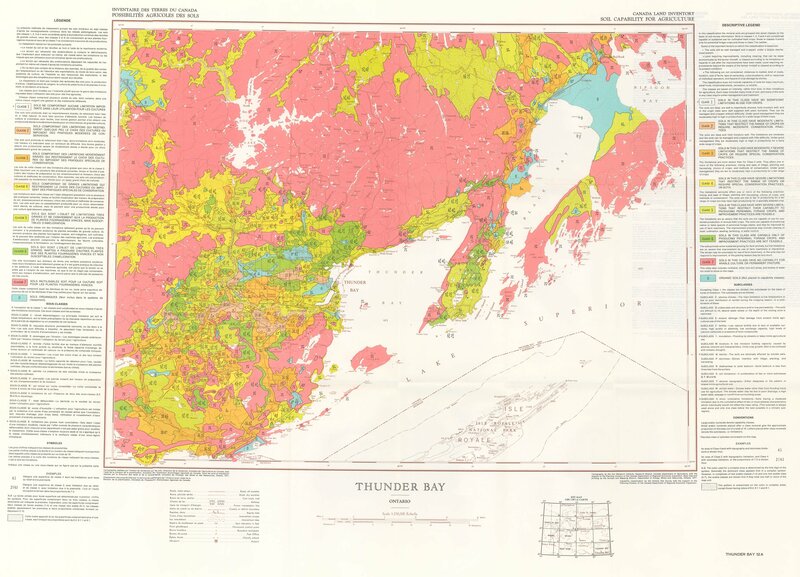 The District is also home to the Thunder Bay Agricultural Research Station, which is run by a non-profit association and has resulted in significant agricultural advancements for the Thunder Bay agricultural community. From May-October 2016, the District experienced an average of 380 mm of precipitation, 1,359 growing degree days and 2,154 crop heat units. The average annual growing season is 170 days and the District lies within climate zone G,H & I and plant hardiness zone 4b. Bedrock is often close to the surface.